But the South Carolina Republican said McCain could work with those same people the next day. It was one of a number of remembrances this week by senators, some tearful, of the Arizona icon who died Saturday of brain cancer. 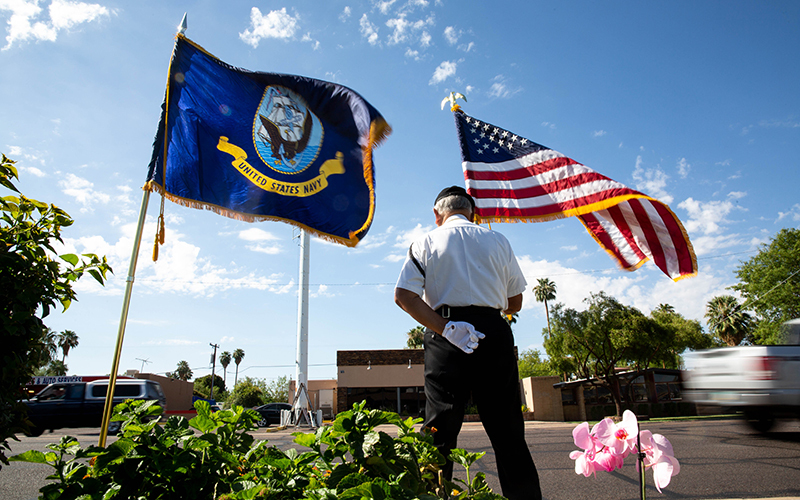 “What John McCain’s remembered for is finding a way to get over all the noise. 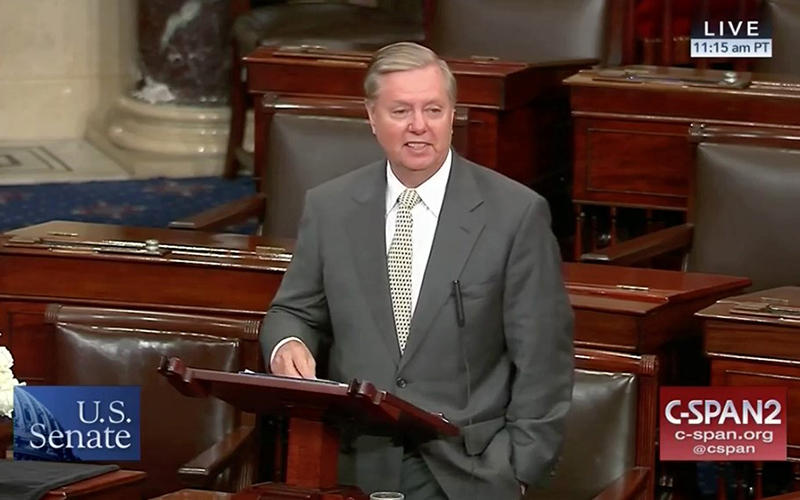 Focus on what’s important,” Graham told reporters shortly after his speech on the Senate floor. Immigration reform was one of those areas where McCain was not afraid to speak his mind, they said. McCain was a member of the “Gang of Eight” senators – four Republicans and four Democrats – who introduced a comprehensive immigration reform bill in 2013 that passed the Senate before dying in the House. While many senators had kind words for McCain, Graham was probably the most emotional. He teared up during a 16-minute floor speech Tuesday, not the first time he has cried since McCain died. That’s because Graham and McCain grew to be close friends in the Senate. Jennifer Duffy, a political analyst and editor of the Cook Political Report, said the two men had a special bond, probably because of the several long official trips they took together. They also had interests in similar issues and were not as different as people may think, Duffy said. “You would hope every member (of Congress) would be friends like they were, you would hope they would have someone in the chamber they could rely on and be friends with inside and outside the Congress,” Duffy said. 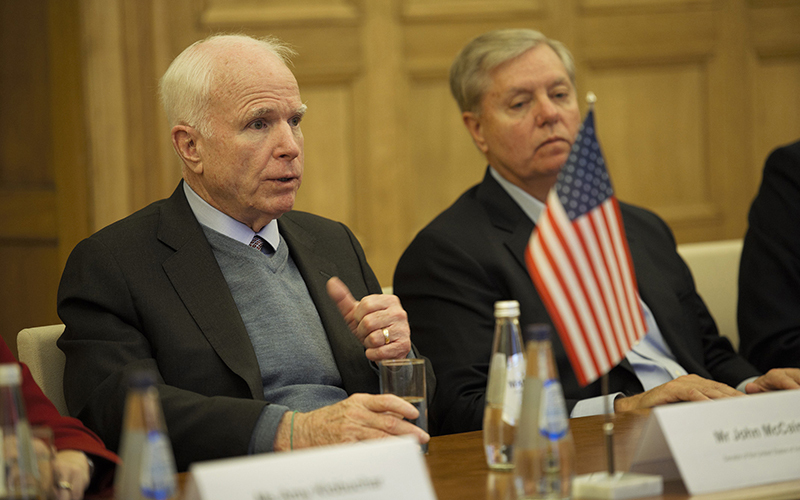 Graham said one of the last pieces of advice McCain gave him was to “keep going, boy.” For him, that means he will “get immigration reform done or die trying,” along with continuing McCain’s fight on issues such as containing Russia and protecting this year’s elections. – Cronkite News reporters Charlene Santiago and Daniel Perle contributed to this report.